Digital Advisory Sales/Service Platform for Retail. Customers nowadays, mostly millennials, expect innovative and engaging digital experiences and a continuous, personalized, and simple journey across multiple touch points – be it online, around a physical location or inside stores. Happiest Minds Omni channel Digitally Assisted Sales & Service Platform (oDASP) is a disruptive solution that provides heightened customer engagement and experience with sales/service enablement over multiple channels like web and mobile. Engage with online shoppers based on a context – shopper’s interest, events & attraction, newly launched items, weather forecast. Enhance customer service with anytime anywhere connected experience. Bring physical store experience to the online shoppers. Engage with in-store customers through self service kiosk – product catalog, in-store navigation. Entice customers to make a purchase through Digital Display presenting most relevant personalized content for the shoppers. Engage customers (both identified and anonymous) in proximity to store /location. Entice customer to opt-into the Loyalty Program and enter the store or path to purchase. Enable campaign creation across multiple channels – coupon distribution and redemption, and integrated checkout. Enable Store Associate/Manager to engage with the shoppers productively. According to the Happiest Minds survey report on ‘State of Omnichannel Retail in US’, nearly 60% of tier 1 and tier 2 retailers are investing in digital capabilities like assistance platforms with customer, product, and inventory 360 degree for in-store sales and customer service associates. Transforming stores into the next-generation experience center for omnichannel customers is the need of the hour. With Omni channel Digital Advisory Sales/ Service Platform, organizations can drive customer loyalty, boost retention, and up the customer experience. V-Store brings a unique experience from engagement-to-checkout; with the right mix of cognitive self-learning engagement-bot, the virtual experience store topped up with experts connect, emotion/sentiment tracking, and intelligent next best action. In-Proximity Solution helps retailers transform their shopper experience by driving them in-store for enhanced engagement seamless across channels. The solution focuses on in-proximity promotion for both identified customers and anonymous (un-identified) shoppers, at the same time enabling the retailer to run focused campaign management with intuitive dashboard. The solution is powered by multiple proximity technologies and hence covers a wider set of shoppers. The In-Store solution offers Self Service Kiosk, Digital Display, and Associate Enablement App with Actionable Dashboard. The solution focuses on casual as well as the serious visitors at store for both identified and anonymous (un-identified) shoppers, at the same time enabling the retailer to better engage in real time. The solution is powered by Personalised Virtual Reality Experience with Endless Aisle, Connects with Expert, along with intrusive AI chatbot. How to make a personalized offer to customers? How to reduce the queue waiting time in-store? How to react to a competition via price match or an alternate offer? How to save a sale, specifically in a stock out situation? How to provide a ‘Do not have to repeat myself’ experience to customers? 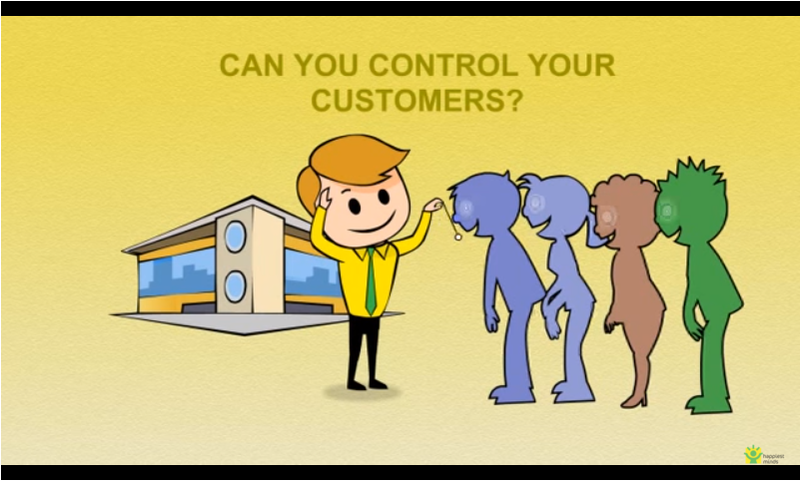 How to turn a complex customer complaint scenario to a positive interaction with deep insights? How to reduce turn-around time for query resolutions with intuitive and ready access to customer open orders, enterprise inventory information, price match possibilities etc.? Increase sales volume with focused campaigns and engage with the existing customers when they are most receptive, boosting loyalty. Convert more prospects/visitors into customers with geo targeting/fencing, personalized engagement with customers, and actionable social data. Boost ability to close transactions through assisted selling. Leverage social gamification and coupon distribution to amplify in-store footfall. Reduce time to checkout and enhance customer relationship with Artificial Intelligence.